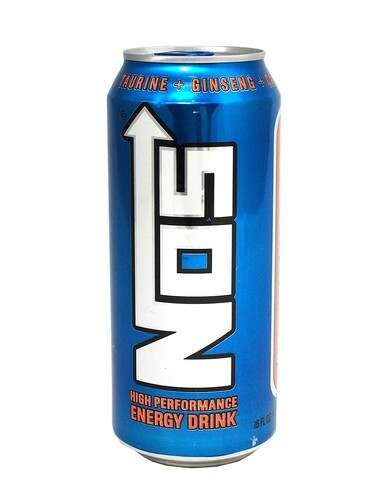 FRESH 16oz cans of NOS Energy Drink!!! Available in Grape and Fruit Punch too! This stuff is delicious. Super carbonated, and it tastes like pineapple citrus. It's super crisp, but also a bit thick, so it's not as quenching as a cold red bull. It is a very good energy drink and it deserves more appreciation than it gets. I would recommend it to someone who doesn't like monster or red bull.